Parking in your garage is a royalty that not everyone gets to experience. If you own a home and you are graced with a garage to use for storage, parking your car and having fun downtime with your friends in, then you need to know what the signs are that your garage door may need a repair. Of course repair may not always be possible and a replacement is the next step. Regular maintenance is the key to keeping your garage door in the best shape possible. 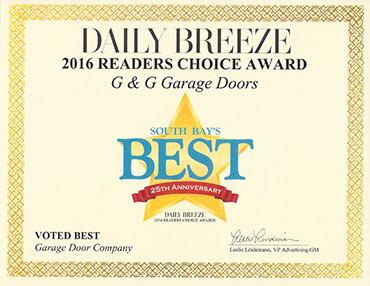 Many garage doors these days are very durable and need very little care, that being said, periodic maintenance can prolong or prevent potential problems. At G&G Garage Doors we offer not only repair but installation, and periodic maintenance. Just like every other part of your home, garage doors need to be cared for too. 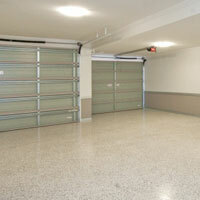 Many of us rarely ever think about servicing garage doors, so repairs are sometimes necessary. Here are 6 common signs that your garage door may need a repair from G&G Garage doors in Torrance, California. The most obvious sign is that your garage door is either stuck shut or opened. 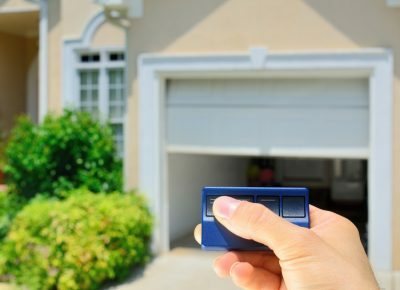 If the control buttons aren’t responding and your garage door isn’t budging, there’s an obvious problem that needs to be fixed. If your garage door is stuck in the open position, make sure that there is nothing blocking the sensors to make sure it shuts. If you still have an issue opening or closing your garage door, you need a repair. Is your garage door slow to respond to you? There shouldn’t be a very long delay when it comes to opening or closing your garage. If anything, it should be about a second or two for your garage door to receive the signal to open or close. 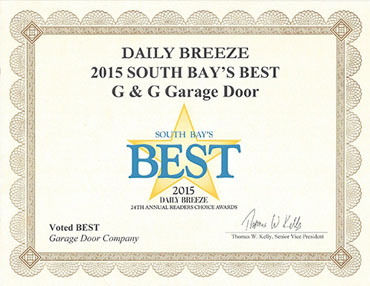 If your garage door is very delayed, you may need to have it inspected by a professional. Does your garage door seem to have a sag in it? Sagging garage door sections are a fairly easy repair, but should be repaired by a professional. There could be a number of issues that are wrong with your garage door, including the tension springs, which are dangerous to replace on your own. Does your garage door make a lot of noise? Garage doors typically are noisy, but if it the springs are bad or other issues are causing havoc on your door, you will notice much more cracking and excessive straining noises that don’t sound “normal”. If your garage door is off its tracks, you will need the help of a professional. When a garage door is off its tracks, you’ll notice that the door will not go up or down easily, nor should you try to use it. Call a professional for garage door repair to ensure it can operate properly. Are you energy bills increasing suddenly? Many people wouldn’t think that a garage door could cause an energy bill to be noticeably higher, but if you are searching for ways to create a very efficient household, think about upgrade your garage door with a brand new one that is much more efficient. Go ahead and contact us online now to request an appointment for a garage door repair in Torrance. 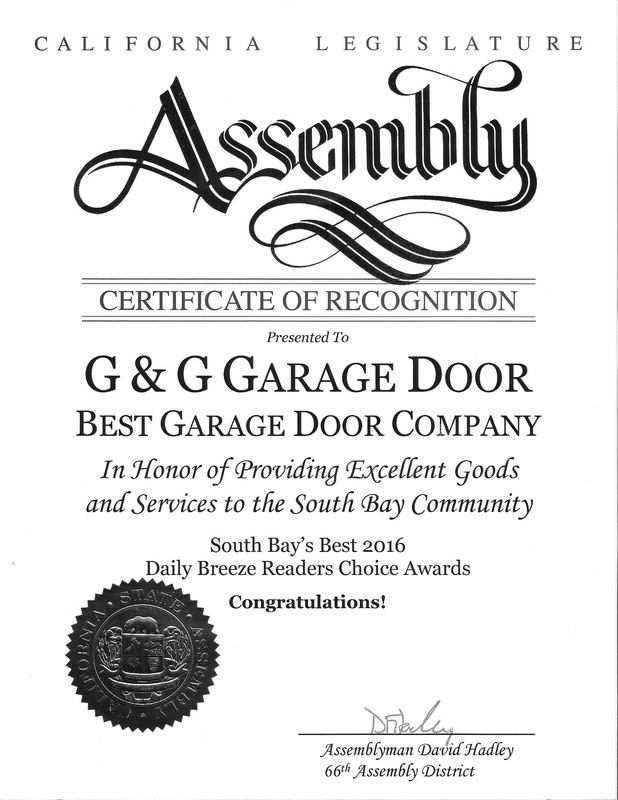 We are proud to be your local garage door repair professionals, and we do it with high quality parts and great customer service. Learn more about us today!